Federal agents arrested 54-year-old Jose Mardoqueo Ortiz Morales in Maryland last week for suspected involvement in the Guatemalan Special Forces brutal murder of more than 250 men, women and children 1982 – known as the Dos Erres massacre, which was part of the Guatemalan military’s “scorched earth campaign” carried out by soldiers notorious for their use of torture and brutal killing tactics. According to witness testimony, and corroborated through U.S. declassified archives, the soldiers murdered nearly the entire town and then threw their victims’ bodies into a well and nearby fields. The National Security Archive’s Guatemala Documentation Project has been submitting FOIA requests and winning the release of declassified U.S. documents on Dos Erres since 1995. The declassified documents reveal shortly after the Kaibil operation, U.S. officials investigated the massacre and concluded that the Army was the only force capable of such an organized atrocity. At least five other Kabiles have been convicted for their role in the massacre and were sentenced to more than 6000 years in prison. Kabiles responsible for Dos Erres have been arrested in the United States and Canada. A FOIA request submitted to the FBI this time last year was automatically labeled large or complex if the response totaled 2,500 or more pages of documents (the labeling of FOIA requests as “simple” or “complex” places them in different processing queues within an agency’s FOIA shop – ones that often have drastically different estimated completion timelines). Archive FOIA Project Director Nate Jones recently penned the inaugural posting for a new series on Presidential Library activities, which focuses on how classified presidential library records are released to the public. It is the first contribution of a regular Federalist column by Jones that will discuss the activities and new document releases of the Presidential Libraries. If you have any observations, questions, or hot releases please send them to Jones via Twitter to @NSANate. Eight months after Jim Holzer stepped down, the Office of Government Information Services, OGIS, has a new director in Alina Semo. Semo comes to OGIS from the National Archives’ Office of General Counsel. While at NARA she “helped rewrite the National Archives’ FOIA regulations.” Prior to her tenure at NARA Simo “served as Director of Litigation in the Office of General Counsel” for the FBI. In a good interview with Semo posted on the OGIS blog, Semo notes that she’s eager to lead “a staff who is committed to both FOIA mediation and compliance issues.” The National Security Archive is excited to work with Semo, and has high hopes for her tenure – not least of which being OGIS beginning to issue official advisory opinions on FOIA. OGIS has recently proposed new FOIA regulations, available for comment now on the Federal Register. The regulations are good but, as they note, focus on only one of OGIS’s three primary functions: dispute resolution services. OGIS’s mediation services are undoubtedly valuable – the National Security Archive contacts OGIS regularly when issues crop up with agencies – but agencies are not required to adhere to any OGIS suggestions that they propose during mediation, and in our experience frequently don’t. OGIS notes that the regulations will be updated in the future to include provisions on its two other functions: reviewing agency FOIA policies, procedures and compliance; and identifying procedures and methods for improving compliance under the FOIA. The Archive looks forward to those updates, as agencies will likely pay more attention to OGIS’s expertise when it is issued through compliance mechanisms – such as advisory opinions. ODNI Report on Improving Declassification – Does it Listen to Requester Community Suggestions? December 2016’s ODNI report, “Improving the Intelligence Community’s Declassification Process and the Community’s Support to the National Declassification Center,” examines how to improve declassification. 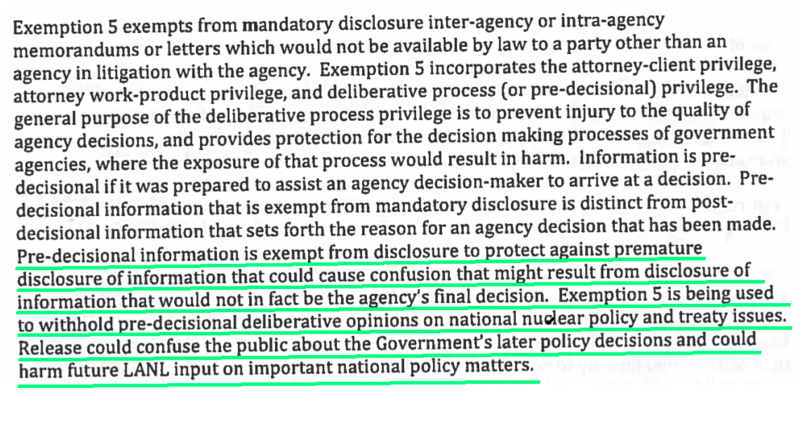 Focusing primarily on automatic declassification of historically significant documents 25 years or older, Steve Aftergood points out, the report “does not actually present any declassification policy proposals. Instead, in a near-parody of a government report, it calls for establishment of new working groups to write other reports and generate further recommendations.” The report does not answer important questions regarding, among other things, agency “equity” in older records that often require time-consuming, needless re-reviews, or how to handle information that is technically properly classified but would be common sense to release. The Electronic Frontier Foundation is now accepting nominations for the 2017 Foilie Award – the award that recognizes the worst in government transparency. Anyone can nominate an agency and there is no limit to the number of nominations you can make; the deadline for nominations is January 31. Need some inspiration? 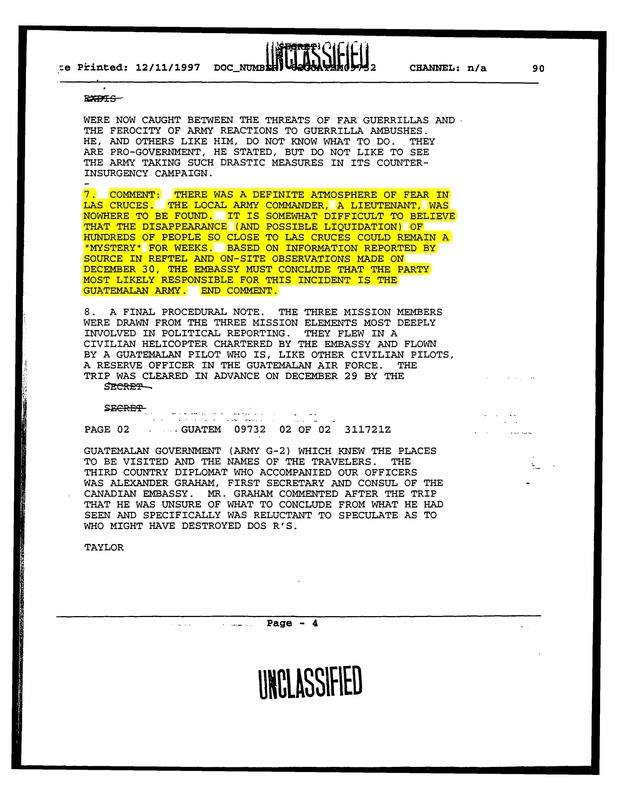 Last year the National Security Archive nominated one especially bad FOIA response from the Energy Department, in which the Department withheld a 1978 letter from former Los Alamos National Lab director Harold Agnew to the White House’s Office of Science and Technology Policy director Frank Press on the Comprehensive Test Ban Treaty (CTBT) in full pursuant to FOIA’s exemption 5 – even though the document is segregable and contains information that is already public knowledge thanks to previous State Department publications on the same subject. Our 2015 nominations are here. December 2016’s nonbinding guidance from the Food and Drug Administration on “Postmarket Management of Cybersecurity in Medical Devices” draws attention to the growing vulnerability of networked medical devices. This document is one of 11 new additions that were posted in the National Security Archive’s Cyber Vault on Wednesday, January 11. The guidance “applies to any marketed and distributed medical device including: 1) medical devices that contain software (including firmware) or programmable logic; and 2) software that is a medical device, including mobile medical applications.” Perhaps most significantly, the guidance suggests that manufacturers have a process for assessing the severity of patient harm if cybersecurity vulnerability is exploited, conducting a risk assessment to evaluate if the risk of patient harm is “acceptable” or not, and provides examples of which risks are acceptable and which are not. Nate Jones will be doing a book signing for Able Archer 83: The Secret History at Spritzenhaus33 in Brooklyn on the evening of January 19. Please come join us for the fun and enlightening event if you’re in the area! This week’s #TBT pick is a 2010 posting from the Archive’s Nuclear Vault on the Air Force’s attempts in the 1950s and 1960s to refute novels and Hollywood films like Fail-Safe and Dr. Strangelove, which raised questions about control over nuclear weapons. 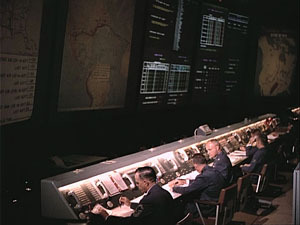 To do so, the Air Force produced a series of documentary films, including one on called “SAC Command Post” that “tried to undercut Dr. Strangelove’s image of a psychotic general ordering nuclear strikes against the Soviet Union by showing that nuclear war could not be ‘triggered by unauthorized launch.’” Other films included “Project Headstart,” which depicts SAC’s first airborne alert test, and “Development of the Soviet Ballistic Missile Threat,” which shows the role of Air Force intelligence in the “missile gap” debates in the lead-ip to the 1960 presidential election.